Ronaldinho – football fans love him. But for many freestylers, he is something more than a great footballer – he was the initial spark of inspiration. 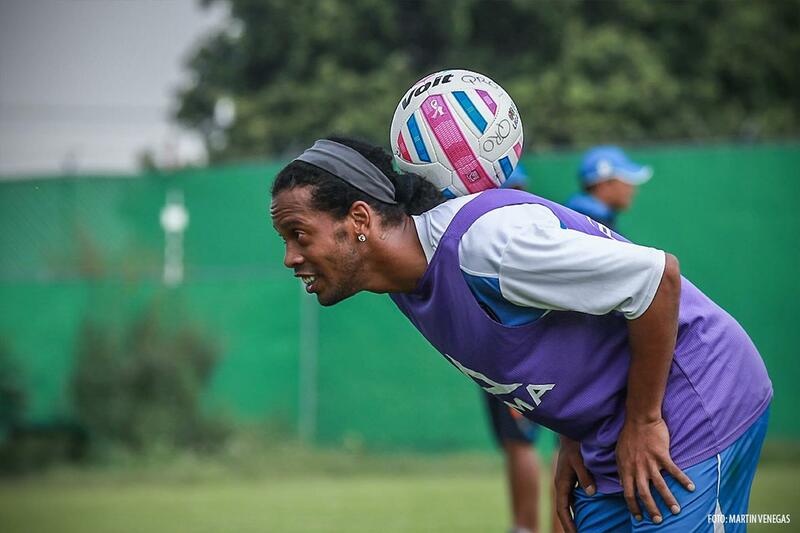 Over the past year, Ronaldinho has found himself involved in freestyle again as his playing career winds to a close. He was announced as an ambassador for the Football Freestyle Federation and a few fortunate freestylers have got to meet him. Most notably Kieran Brown – who’s video with him reached 1,000,000 views. The last time Ronaldinho was this strongly associated with freestyle was over 10 years ago, it’s amazing to see how far the sport has come since then and it struck me that some people may not even know the impact he had on giving the sport an initial boost. Being Brazilian he was always destined to be skilful. With a lineage of fantastic Brazilian players that came before him. Yet an overlooked part of his career would be his spell at PSG prior to the 2002 FIFA World Cup and his big money transfer to Barcelona. This was important for Ronaldinho as he got to train and play alongside Jay-Jay Okocha. Ronaldinho was always destined for success but the similarities between the two players are remarkable. Although only at the club together for a short period of time, it would have definitely helped Ronaldinho having an older player at the club with a similar unique philosophy and playing style who could act as a mentor. 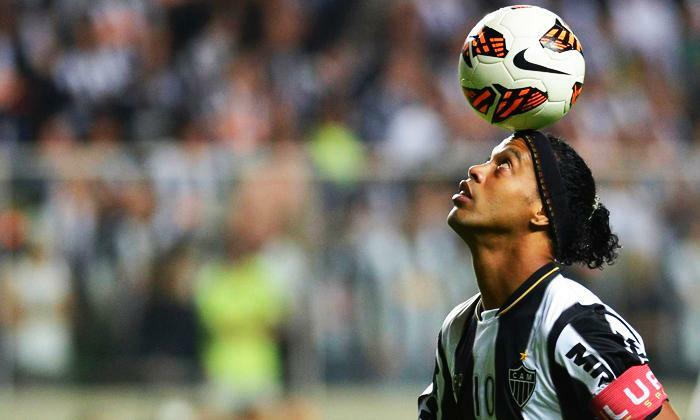 For Ronaldinho to display his freestyle skills he needed a platform away from the pitch. In the late 90’s Nike became known for running famous football adverts. Such as the ‘Good vs Evil’ and Brazil airport commercials. In 2002 they ran their most star studded campaign yet – ‘The Cage’. The concept was a 3 v 3 tournament which highlighted and encouraged skills you wouldn’t usually see on the pitch. Players such as Ronaldo, Edgar Davids, Luis Figo and Francesco Totti were featured. Despite not being the main star, Ronaldinho was clearly one of the most skilful footballers and played a vital role in making the advert a success. By 2003, he was now a world cup winner and the player everybody was talking about. Nike saw the marketability in Ronaldinho and made him the star of his very own advert titled ‘The Stickman’. At this point in time Nike began to use the word ‘Freestyle’, with Ronaldinho epitomising this. But the real star was Mr Woo, who played the role of the cgi stickman and stole the show. Ronaldinho recognised this and actually asked for Mr Woo’s autograph. This ad campaign made every young footballer go outside and ‘freestyle’ for the first time. There were so many new tricks to try and with the internet rising in popularity, you could download and study the video. This sparked some freestylers to make a name for themselves by creating their own tricks, such as Soufiane Touzani and his now infamous video. Nike hosted the first freestyle competition which was won by Abbas Farid, this launched his freestyle career and he starred in his own Nike commercial. You could call this period the ‘big bang’ of football freestyle. After this initial commercial outburst, Ronaldinho moved to Barcelona, winning the Ballon D’or in 2005 and lifting the Champions League the following season. Before he was known as a skilful player. Now he was known as the best in the world. At this point pioneers of freestyle were already pushing the sport forward. The likes of Soufiane Touzani, Palle and others were posting freestyle videos frequently, creating an underground scene and online community. By 2006, Ronaldinho was the figure head of Nike’s “Joga Bonito” campaign. The message was universally understood: make the ball happy. A series of freestyle videos were released, including the concept of the ‘freestyle chain’ where a single football would be passed around the world from freestyler to freestyler. With Ronaldinho starting the chain in Camp Nou. Few freestylers were invited to be part of the original video, including a young Billy Wingrove. Anyone could join the chain by uploading their clip to nike.com, where the chain would grow and be played continuously. The crossbar challenge is the video people remember the most and it was the first to reach 1,000,000 views on YouTube. It was at this point when myself and many others began freestyle. It put a spotlight on the freestyle community for those who were willing to search beyond Ronaldinho videos and discover the early pioneers of the sport. Watching these videos now gives me the chills. All of the tricks I have learned and the best experiences of my life have all stemmed from carrying those videos around on my iPod. The reason why Ronaldinho is an idol for so many people is because he encouraged people to enjoy themselves. Never has an advertising campaign carried such a genuine meaning and message. Ronaldinho showed the world there was another way to play football and that anyone could do it. He encouraged people to try new things with him, this came full circle as he performed a freestyle show with Touzani and Abbas Farid at his AC Milan unveiling in 2008. The last few years show that Ronaldinho will never lose his connection to the freestyle community. His contributions to the sport cannot be underestimated. Thanks for reading! If you enjoyed this post then you’ll love my e-book ‘The Story of Football Freestyle’ where I talk more in depth about Ronaldinho, as well as the other freestylers in this article such as Mr Woo, Abbas, Palle and Soufiane Touzani. Watch the trailer below and download it HERE.